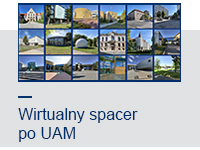 SGroup ogłosiła kolejny biuletyn informacyjny. Austriackie Forum Kultury w Warszawie przesyła w załączeniu zaproszenie na studio podyplomowe na interdyscyplinarnym kierunku „Environmental Technology and International Affairs". 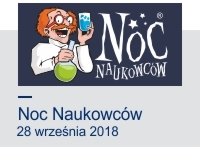 Fundusz Wyszehradzki zachęca pracowników naukowych do składania dokumentów do Open Society Archives. WA Distinguished Professors' Lectures Seriesfeatures internationally renowned scholars visitingthe Faculty of English to share their research and professional expertise with WA faculty and students. The Faculty of English welcomes everyone to a lecture onCrisis, Conflict, and Communication EthicsbyProf. Ronald C. ArnettfromDuquesne Univiersity in Pittsburgh, Pennsylvania. The lecture will take place on March 15, 2018, at 6:30 p.m. in room C1, Collegium Novum. Distinguished Faculty Recital "CHOPIN MEETS THE BEATLES" by Pamela Howland, Aula Lubrańskiego, March 8, 6;30 p.m. The Faculty of English invites everyone to a Distinguished Faculty Recital titled CHOPIN MEETS THE BEATLES: Songs of Love, Loss & Longing by Fulbright Visiting Professor Pamela Howland. The recital will take place on March 8, 2018 at 6:30 p.m. in Aula Lubrańskiego, Collegium Minus UAM, ul. 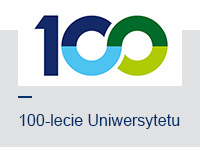 Wieniawskiego 1. 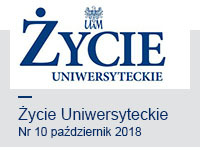 Program stypendialny przygotowany przez rząd koreański na rok akademicki 2018/2019 oferuje studentom polskich uczelni (polskim obywatelom) dwa miejsca stypendialne na studiach magisterskich lub doktoranckich w Korei. AMU PhD student Katarzyna Kajukało in the finals of FameLab Poland 2018! AMU PhD student from the Department of Biogeography and Paleoecology, Katarzyna Kajukało has entered the finals of FameLab Poland 2018 with a presentation on peatlands and their impact on climate change! FameLab is a communications competition designed to engage and entertain by breaking down science, technology and engineering concepts into three minute presentations. On Monday, February 26th, all incoming International and Erasmus+ students, who are starting their adventure at AMU in a spring semester 2018, were greeted by some of the key people for AMU International Relations, including the Vice Rector for Research and International Cooperation, prof. Ryszard Naskręcki and International Office staff. The Erasmus Student Network and the City of Poznan joined in to welcome our students! 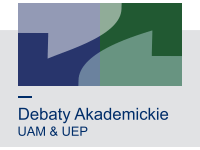 The Department of Elementary Education and Pedagogical Therapy of the Faculty of Educational Studies of Adam Mickiewicz University invites you to participate in the IV Edition of the International Conference: The Educational and Social World of a Child, which will take place in Poznan on 26-27.04.2018 under the auspices of the DEAN OF THE FACULTY OF EDUCATIONAL STUDIES OF AMU IN POZNAN, PROF. ZW. DR. HAB. AGNIESZKA CYBAL-MICHALSKA. International Mentor Program starts recruting. 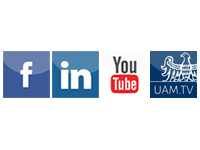 10th Educational Conference Media vs. education. September 17-18, 2018. 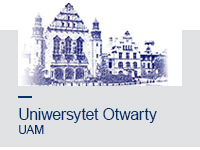 The conference has been organized in Poznań since 1997 by the Department of Technology of Education, the Faculty of Educational Studies at the Adam Mickiewicz University in Poznań, Polish Association of Educational Technology and Media and, for several years, in cooperation with the University of Rzeszów. Our symposiums provide an agora for reflection on media education – developing the skills of conscious, critical, responsible and selective use of media, as well as creating and broadcasting media. AMU team of researchers led by dr Honorata Hafke-Dys from AMU Institute of Acoustics (Faculty of Physics), have designed a new and intelligent stethoscope. They called it: StethoMe. The design was possible thanks to 1.5 M PLN invested in the project by TDJ Pitango Ventures, the Polish-Israeli innovative start-up fund.